You’ve just missed your chance at seeing the last Broadway performances of Once, Side Show, Cinderella, Pippin, The Real Thing and This is Our Youth. It’s Only a Play – An insider look at what happens on the opening night of a Broadway show, the title sums up how the characters are supposed to feel when the show doesn’t quite get the reviews hoped for. 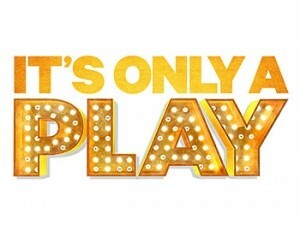 Now with Martin Short replacing Nathan Lane, Katie Finneran, F. Murray Abraham, and Stockard Channing, “It’s Only a Play” is a non-stop laughfest, poking fun at pretty much every major show on Broadway. It helps to see it with someone who is conversant with the current Broadway line-up, especially if you’re not a regular theater-goer. Now playing at the Gerald Schoenfeld Theatre (236 West 45th Street), It’s Only a Play moves to the Bernard B. Jacobs Theatre, 242 West 45th Street, starting January 23. Tickets: www.telecharge.com. 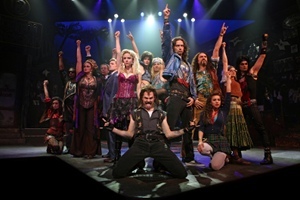 Rock of Ages – Unbelievably, this long-lasting, feel-good rocker is about to have its farewell tour. Closing on January 18, the show will no longer bring you those familiar 80s faves like “Any Way You Want It,” “We Built This City,” “Wanted Dead or Alive,” and “Don’t Stop Believin.” Constantine Maroulis (sixth-place finalist from the fourth season of American Idol) leads the final line-up. Helen Hayes Theatre, 240 West th Street. Tickets: www.telecharge.com . The story about Berry Gordy’s creation of the Motown sound, starting in 1959, is a bit too long, with too much crammed in, but it’s still a crowd pleaser. Starting January 18, Motown: the Musical is concentrating its focus on its tour companies. This is your last chance to relive those Detroit phenoms like the Supremes, the Jackson Five, Marvin Gaye, Stevie Wonder, and Smokey Robinson. The young Michael Jackson is a knockout. Lunt-Fontanne Theatre, 205 West 46th Street. Tickets: www.ticketmaster.com. For more detailed information on these and other Broadway shows, a good source is Playbill, www.playbill.com, where you can sign up for a newsletter of upcoming theater events. This entry was posted on Monday, January 5th, 2015 at 12:49 am	and is filed under Stuff to Do. You can follow any responses to this entry through the RSS 2.0 feed. You can leave a response, or trackback from your own site.